This is a J.Bon Jovi, R.Sambora/ D.Chils song, only the music is not as in the Bon Jovis version of the song. Its different, but it is at least as good and also melodic. A new record deal with PRT was signed and a new single put out “Edge of a broken heart” was the bands first hit, No 1 in the national rock charts, ahead of the likes of Def Leppard & Whitesnake, the song eventually reached only lower reaches of top 50 in the national singles chart, owing to Gallup (chart organiser) banning it because Jonathan King had plugged it 2 weeks running in his “The Sun” national newspaper column. This is a J.Bon Jovi, R.Sambora/ D.Chils song, only the music is not as in the Bon Jovis version of the song. Its different, but it is at least as good and also melodic. 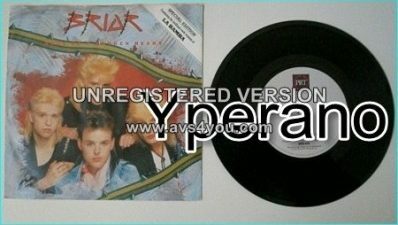 SKU: YP-4693 Categories: All Genres, AOR, Hard Rock, NWOBHM, Search by Media Type, 7", NWOBHM 7"